As crude oil prices reach record levels, consumers are constantly hearing their co-workers, friends and family, complain about the price of oil and gas. Although the rising prices are a source of concern, and sometimes anger, here is how dismayed consumers and investors, can get a profitable share; of the oil boom. Buy an oil well. Obviously, if you own an oil well, your revenues increase as oil prices rise. There are, of course, a lot of operating expenses to be considered before purchasing such an asset, and there is a lot of uncertainty, as well. Beyond producing wells, you can purchase exploratory wells or invest in start-up drilling ventures, but such investments are even riskier than they sound. You’ll need a fair amount of capital and "nerves of steel," to get into this segment of the oil market. Purchase oil futures or oil futures options. 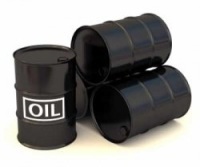 Crude oil is a commodity and futures are traded on the commodities market. Futures are highly volatile and involve a high degree of risk. Additionally, investing in futures may require that the investor to do substantial investment research, as well as invest a large amount of capital; to participate. Purchase commodity-based oil exchange-traded funds (ETFs). ETFs are traded on the stock exchange, and can be purchased and sold in a manner similar to stocks. As with futures, these are risky and depend solely on the price swings of the commodity. Because they are traded like stocks, ETF's offer a great deal of freedom to buy and sell. Energy-specific ETFs and mutual funds, invest solely in the stocks of oil and oil services companies, and come with lower risk. Buy stock in companies engaged in the transport of oil. These include companies that own pipelines or oil tankerage firms. Firms such as these also pay large dividends, and their share price typically correlates roughly, with the current price of crude oil. I try and maintain at least 5% to 10% of my investment portfolio in energy, at all times. I would recommend closer to the 10% mark, if you depend on investment income. This is not just because oil is at record high levels, thanks to Arab and Middle Eastern political turmoil. The fact is, that even when oil prices fall, you rarely get hurt investing in oil-company shares. This is because when gas prices rise, economies tend to slow. This may cause the rest of your stocks and funds in your portfolio to fall. However, when oil and gas prices rise, oil and gas stocks tend to rise with them. As such, exposure to oil and gas stocks can help insulate your investment portfolio, and protect you against any economic slowdowns and down-turns; caused by "oil shocks."